Gift for 2019 graduate. 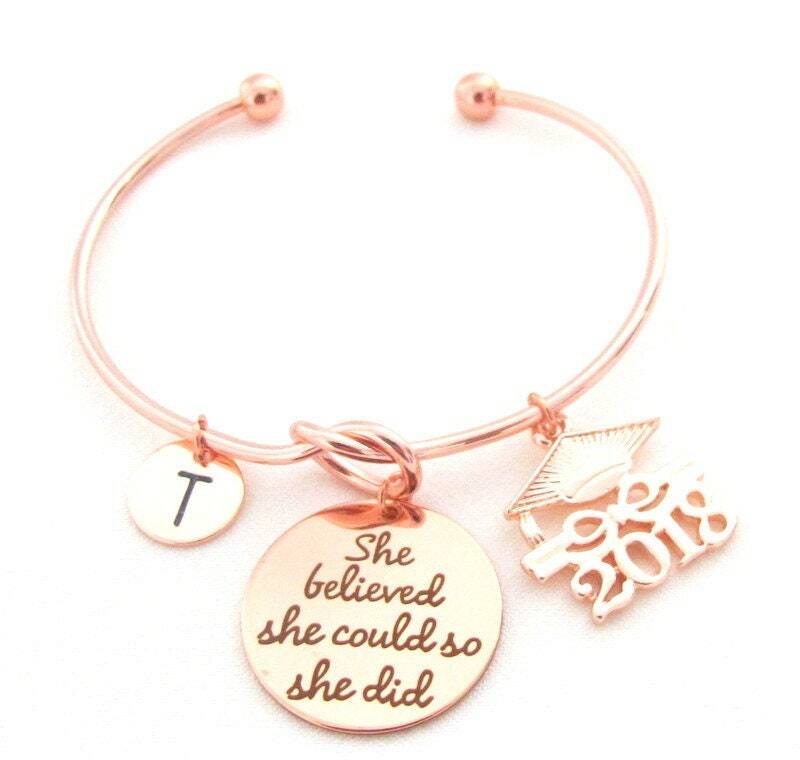 Customize 2019 graduation gift bracelet available in all 3 colors - Silver, Gold and Rose gold 2018 graduation hat and she believed she could so she did. 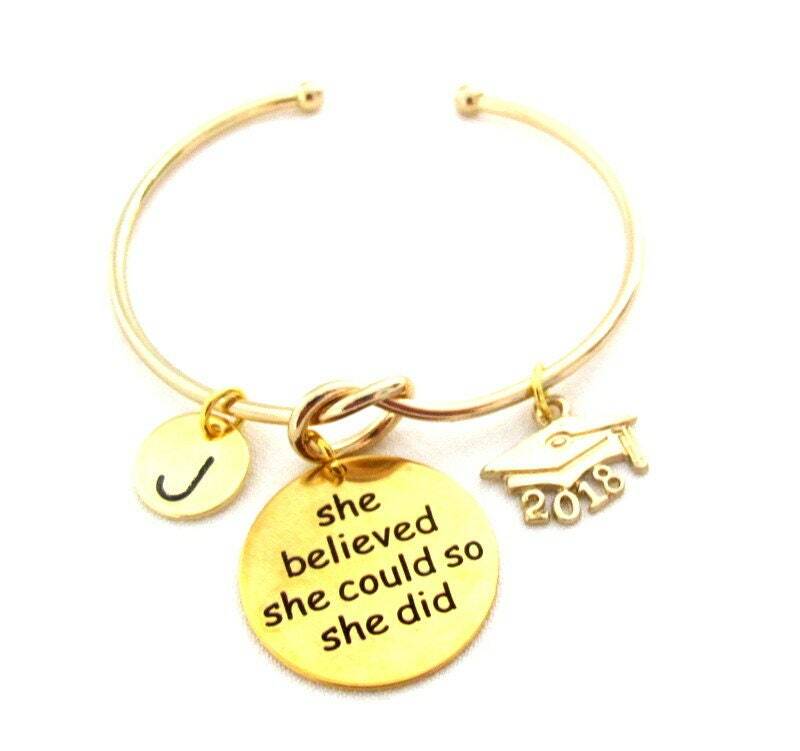 Personalized Graduation bangle. 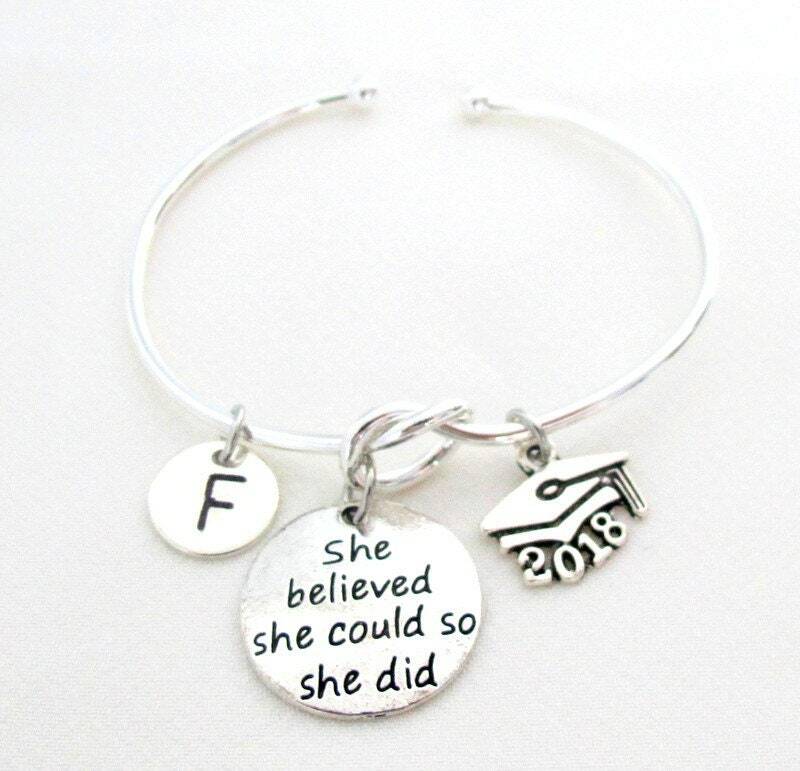 This graduation bracelet makes a senior gift for college or high school grad. The item was exactly as presented. Very happy with this item. Very nice graduation gift for a special girl. Great product, seller shipped it quickly and it came just in time for when I needed it. Really pretty ! Hoping my granddaughter will love it to ! Loved, loved, loved this bracelet. Great transaction, very quick shipping. I will definitely do business with this vendor again.